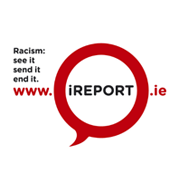 « Press Release: Stop denying racism and start dealing with it. Diverse Voices of Women Today offered an unique opportunity to women from minority ethnic communities and other stakeholders to come together to explore the gender perspective of racism. This conference provided a space for women from a wide range of backgrounds, to share their specific experiences of sexism and racism and to generate ideas and commitments to work together towards equality and integration. Welcome address by Ms. Michelle Bachelet, Under-Secretary- General of the United Nations and Executive Director of UN Women (by video link up).